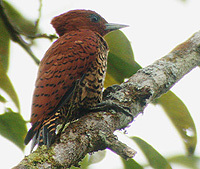 An under-birded area and the most endangered ecosystem in Ecuador, the lowland Chocó rainforest holds many unique avian delights such as; the Rufous-crowned Antpitta, Black-tipped and Blue Cotinga as well as Scarlet-breasted Dacnis. 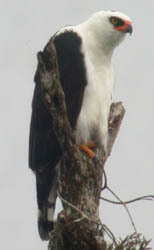 Andean Birding brings you to Canandé, a Jocotoco Foundation reserve, then to a new lodge, San Jorge de Milpe on the famous Milpe road for lower foothill specialties. Day 0 – Arrive Quito, overnight at Hotel Sebastian. 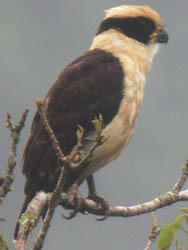 We leave Quito early morning for the 2 hour drive to San Jorge birding along the way with stops for raptors and other specialties. We stop near Calacalí for interandean species such as Purple-collared Woodstar, Blue-and-yellow Tanager and Band-tailed Sierra-Finch as well as White-tailed Shrike-Tyrant, then continue on to the Milpe road. Overnight San Jorge de Milpe lodge. Early drive to Rio Silanche for many Lowland Chocó endemics such as Black-striped Woodcreeper, Yellow-crowned Tyrannulet, Slaty-capped Shrike-Vireo, Scarlet-breasted Dacnis, Emerald, Gray-and-gold, Scarlet-and-White & Blue-whiskered Tanagers. Later we cross the Canandé River on a small ferry we begin to get the feel of the lowland Chocó rain forest. From here we bird our way arriving for dinner at the reserve. With a full day of birding at the reserve we intercept flocks looking for Chocó tanagers such as Scarlet-and-white, Gray-and-gold, Blue-whiskered, Scarlet-browed, Emerald, as well as Rufous-winged Tanagers. 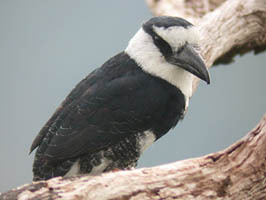 Up the forest trail we search for the Baudó Guan and lure in the Chocó Tapaculo and Black-headed Antthrush as well as Spotted, Esmeraldas and Ocellated Antbirds. 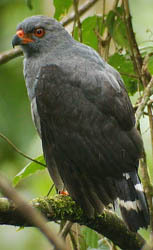 In the evening we try for Chocó Poorwill, the Central American Pygmy-Owl, Crested, and Black-and-white Owl. 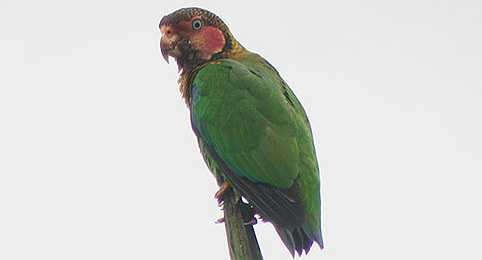 Rose-faced Parrots perched in the canopy in the early morning light are a sight to make you smile, as we start our day searching for more species such as; Indigo-crowned Quail -Dove, Red-lored Amazon and Tooth-billed Hummingbird. 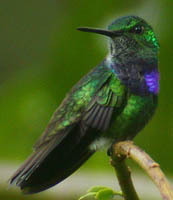 Feeders at the lodge attract many hummingbirds including, Purple-chested, and Rufous-tailed Hummingbird as well as White-whiskered Hermit. 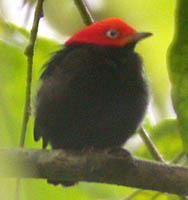 In the forest, Purple-throated Fruitcrows query while Red-capped , and White-bearded Manakins snap their wings and pop into view. All day birding along the road for more flocks with chances for Black-striped Woodcreeper, Yellow-collared Chlorophonia, Ochre-breasted, and Dusky-faced Tanager as well as Scarlet-rumped Cacique and Chestnut-headed Oropendola. Early morning cleanup of species we have missed. Mid morning we head off to San Jorge de Milpe with late afternoon birding before dinner. 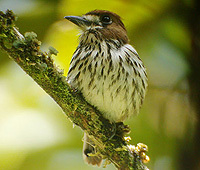 Here we will look for Moss-backed Tanager as well as Chocó Screech-Owl, Chocó Trogon, and Chocó Warbler. 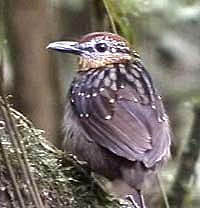 Crimson-bellied Woodpecker, Speckled Mourner, Broad-billed Sapayoa, Gray-mantled and Stripe-throated Wren. We start early on the Milpe road for more chances of Moss -backed Tanager, great views of exquisite Club-winged Manakins displaying at a lek, Broad-billed Motmot, Chocó Toucan, Pale-mandibled Araçari, Yellow-collared Chlorophonia as well as Rufous-throated and Glistening-green Tanager. Afternoon continue birding Milpe area for Chocó Trogon, Chocó Warbler and Crimson-bellied Woodpecker. Then we bird the lower Milpe road, looking for Blue-fronted Parrotlet as well as Pale-vented Thrush and Yellow-green Bush-Tanager. 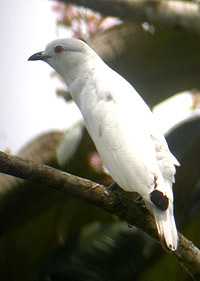 A little-known species, Jonas had the first nesting record for this Bush-Tanager some years ago. Late afternoon we head back to Quito winding up a productive Chocó trip.